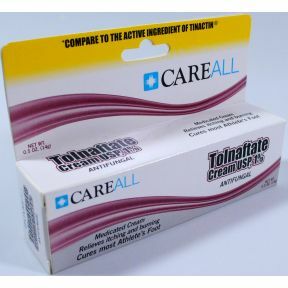 0.5 oz Tolnaftate antifungal cream USP, 1% in tube, boxed. Medicated cream, relieves most itching and burning. Cures most athletes foot. *Compare to the active ingredient of Tinactin.